Being an amateur history geek I passed by The London School of Hygene and Tropical Medicine (an awesome title in itself) as they were having an exhibition to celebrate the bicentenary of John Snow (1813-1858). 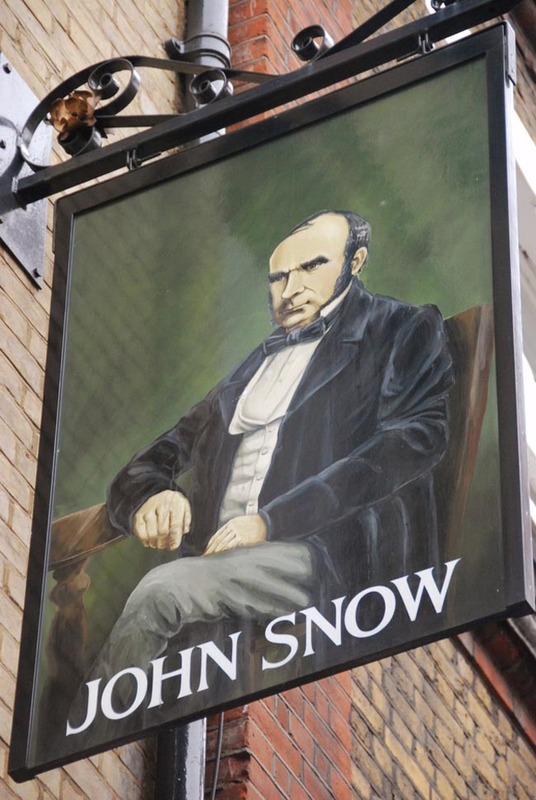 John Snow was a disease ‘detective’ and was responsible for mapping out the Cholera outbreaks in London. 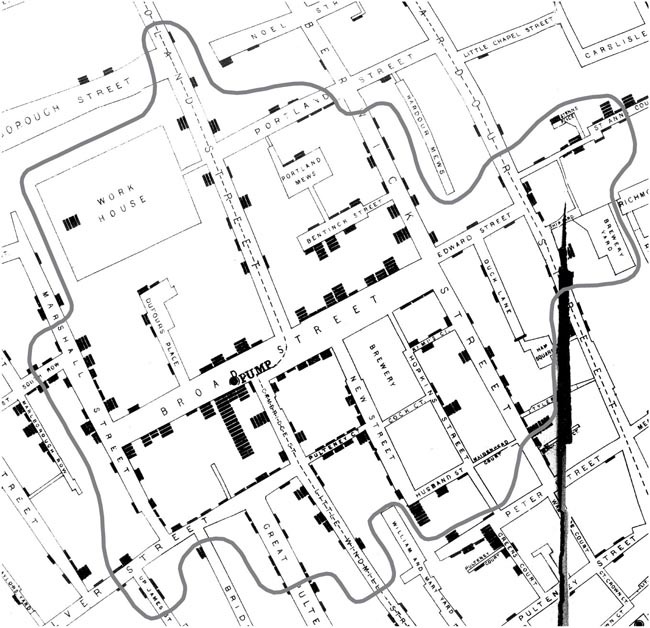 He created a map detailing outbreaks and slowly started to figure out that the Broad Street pump was chiefly responsible for the 1854 cholera outbreak. This took a lot of hours, and a lot of painstaking research on his part. Boring post? Give me one more paragraph, I’m getting to a point shortly… What dawned on me is detective work occurs beyond the realms of CSI and criminal cases. In the 1850s one man sleuthed his way around the streets of London to figure out where the epidemic’s ‘ground zero’ was. After a lot of time and sweat, he found it. Then a solution was also found. The removal of pump handles. Sleuth work is not for the faint hearted. Like any detective you’re faced with bullies and numerous dead ends and a lot of questions to ask. Even then, the answer may still elude you. I feel that the very best ad campaigns are arrived at with the same amount of research and figuring out a complex problem rather than one spontaneous burst of inspiration. For me the very best campaigns are arrived at after a painful pursuit of asking 1001 questions, and getting rebuffed every step of the way. The very best creatives are part Picasso and part J.J. Gittes out of Chinatown. An inspiring book to read on this subject is ‘Imagine’ by Jonah Lehrer. In it various examples are told in detail including the pain level barrier faced by various artists. 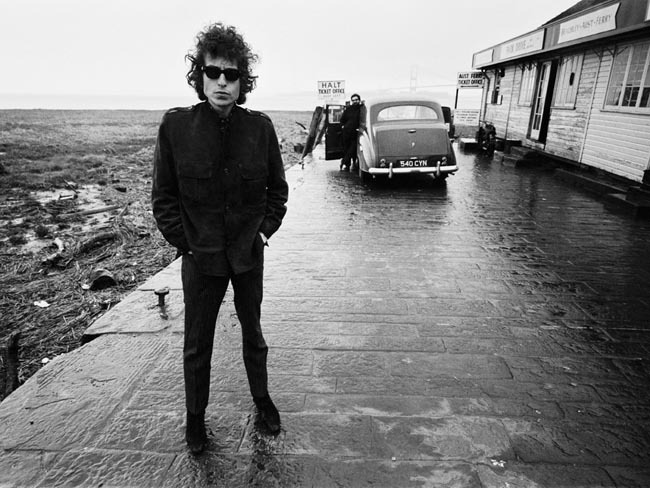 One of these is Bob Dylan and the story is told how he reached the ends of his own detective novel until he found himself and came out the other side to create some of his most seminal songs. However, I’d say overall made up quotes or not his examples (more than just Bob Dylan) do prove the point he is trying to make. Definitely a worthwhile read even if some of it is fiction. There’s youtube / devour.com to fall back on. The time for creatives to dwell on campaign briefs is ever decreasing due to budgets doing the same. So next time you have an interesting marketing / advertising brief think of John Snow and Cholera and be prepared for late nights and agency pizza. It’s worth it. “in spite of the made-up quotes…” might be forgivable if Lehrer hadn’t lied repeatedly, then got canned by the New Yorker, and had his second book pulled as well. Elizabeth Gilbert has some fascinating insights about creativity, as does Julia Cameron. Oh perfect. Thanks for the other names. Will definitely read and Google stalk them. Thanks! !